The Group's research activities are concentrated on topics in quantum field theory, quantum mechanics, string theory and fluid dynamics. 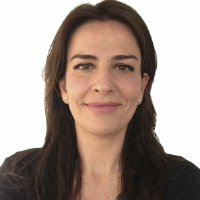 Extensive expertise in various techniques and methods, developed originally in the context of integrable systems, creates a unique cohesive and vigorous environment. 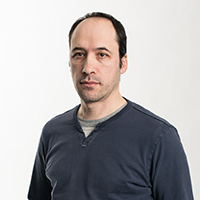 Prof Fring and Dr Castro-Alvaredo have worked extensively on the study of quantum field theories in one space and one time dimension with a particular focus on integrable models. 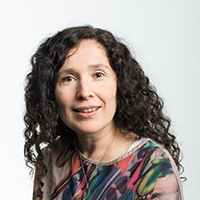 In recent years Dr Castro-Alvaredo and her collaborators have used this expertise and applied it to the study of measures of entanglement in quantum field theory and many-body quantum systems. This is a growing research area which is related to various fields, in particular quantum information theory. The latter studies the information that is held in the state of a quantum system and aims to design suitable protocols which can ultimately exploit this information to build quantum computers. In recent years there has been a growing realisation that quantum field theory techniques can be applied very successfully to accessing the quantum information that is stored in the physical states of many-body quantum systems. These techniques have been especially successful when applied to the study of critical systems which are characterised by the existence of correlations at all length scales. 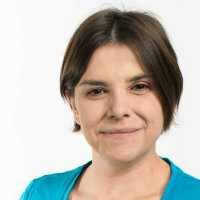 Dr Castro-Alvaredo and her collaborators have developed a unique approach to extracting quantum information about the states of near-critical quantum systems, hence going beyond the existent knowledge for critical systems. At the heart of this approach lies the simple idea that many popular measures of entanglement can be expressed in terms of particular correlation functions in QFT which in turn may be interpreted as partition functions in multi-sheeted Riemann surfaces. This point of view has in recent times become one of the leading approaches to the problem of evaluating the amount of entanglement that may be stored in a given quantum state. 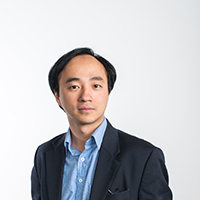 Prof He and Dr Stefański's research interests lie at the interface of gauge theory, string theory and stringy phenomenology. They have extensive expertise in supersymmetric gauge theories, string theory, and the interplay between these. Dr Stefański is a leading expert on string theory, the gauge/string correspondence and its applications to low-supersymmetry settings. Prof He's expertise include low-supersymmetry gauge theories, their geometric properties as well as the relation between stringy phenomenology and algebraic geometry. Very few analytical methods exist for the study of the dynamics of strongly coupled systems, and the problem remains one of the outstanding challenges of modern theoretical physics. The gauge/string correspondence, as originally postulated by Maldacena, represented a conceptual breakthrough in approaching the problem of strongly-coupled systems. Recently, considerable progress has been made in quantitatively understanding of such dualities using sophisticated integrability methods. Remarkably, it appears that such methods may be applicable to a wide variety of gauge/string duals, many with much less supersymmetry than Maldacena's original example. 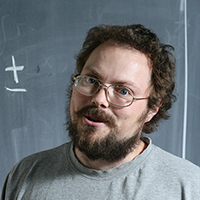 Dr Stefański's main thrust of research has been at the forefront of international efforts aimed at developing methods that allow for the exact computation of generic unprotected quantities in gauge/string correspondences with less than maximal supersymmetry. In a pioneering paper co-authored by Dr Stefański in 2010 the AdS3/CFT2 correspondence with 8 real supercharges was identified as the ideal stepping-stone in understanding low-supersymmetry gauge/string duality using integrable methods. 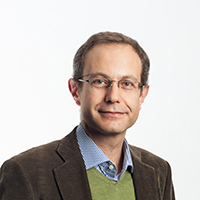 Since 2013 he and his collaborators have formulated a comprehensive integrability-based framework which provides for the first time a powerful computational methodology with which to study generic non-protected quantities in AdS3/CFT2. 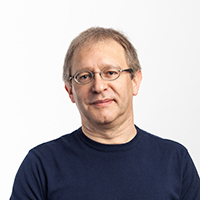 Prof He's work has focussed on the interplay between supersymmetric gauge theories, the gauge/string correspondence and the mathematics of elliptic curves, modular forms, Moonshine and Grothendieck's dessins d'enfant. Over the past three years the celebrated mathematician Prof John McKay has been collaborating with He in this area. A recent highlight is the realisation of the McKay-Thompson series in Moonshine as the partition function of certain compactifications on K3 surfaces with the j-invariant corresponding to novel dessins. Ideas from dessins are providing new links between number theory and physics. A central goal of theoretical physics has been a unified quantisation of nuclear interactions, as described by gauge theories, and gravity, as described by General Relativity. At a certain level, string theory achieves these goals: it is a consistent quantum theory of gauge and gravitational interactions. However, as is well known, it lives in a higher dimensional spacetime and is often supersymmetric. With the LHC experiment's large pool of results, this work is particularly timely: any new physics discovered is very likely to restrict the string compactifications relevant to the real world, and equally, consistent stringy compactifications provide guidance for the types of new physics one might expect at the LHC. Prof He is part of international collaborations that uses state-of-the-art algorithms in computational algebraic geometry to sift through string vacua in search of the Standard Model. Prof Fring and Dr Castro-Alvaredo study fundamental problems in quantum mechanics with a particular emphasis on pseudo-Hermitian/PT-symmetric quantum mechanical systems, noncommutative space-time structures, entanglement and coherent states. Pseudo-Hermitian/PT-symmetric quantum mechanical is an area of research that has emerged around one and a half decades ago. It exploits the fact that quantum mechanical systems, especially Hamiltonian ones, do not have to be Hermitian, as assumed in most classical text books, in order to have real eigenvalues and unitary time-evolution. Instead it is sufficient that they are pseudo-Hermitian or invariant under a simultaneous reversal in space and time to be regarded as physical. The research area of noncommutative space-time traces back almost to the origins of quantum mechanics itself and is motivated by the aim to remove singularities in physical systems by introducing noncommuting structures at very small scales, typically the Planck scale. The two areas of noncommutative space-time structures and pseudo-Hermitian/PT-symmetric quantum mechanics are linked by the fact that in many formulations of the former, non-Hermitian operators naturally occur. Prof Fring also explores these features in classical integrable systems possessing soliton solutions. Dr Silvers and Dr Kerr consider modern problems in fluid dynamics. Dr Silvers' central theme of research area is to extend our understanding of instabilities in fluids. She is primarily motivated by understanding astrophysical and geophysical regions. One current research theme focuses on understanding shear flow instabilities, the turbulent state that arises and how these flows interact with a magnetic field. A second theme focuses on deepening our understanding of how buoyant magnetic structures interact with various flows. Finally she is working on addressing fundamental questions related to convection, especially double-diffusive convection. 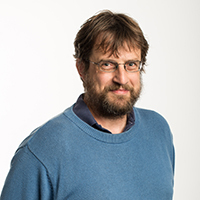 Dr Kerr's research interests lies in the area of theoretical fluid dynamics, and in particular the study of the onset and evolution of thermal and double-diffusive convection. More recently the focus has been on the stability of evolving systems, such as the heating of a body at an isolated boundary (horizontal or vertical, with or without salinity gradients). In such situations the fluid can be initially stable, and then becoming unstable sometime after the initiation of the heating. Dr Kerr's research involves developing methods to find the optimal growth as the background state evolves, and identifying the most appropriate measure for this growth. The group is part of The London Triangle which is devoted to seminars mainly on topics related to string theory run jointly with groups at Imperial College, King's College and Queen Mary College. In addition the group runs weekly seminars with external speakers and informal PhD seminars. The group maintains an extensive network of national and international collaborations with universities and research institutions around the world, as for instance: Oxford University, Cambridge University, Imperial College, University of Pennsylvania, Northeastern University, Virginia Tech, Washington University - St. Louis, Notre Dame University, University of Witwatersrand, University of Montreal, Concordia University, Heinrich-Heine-Universität Düsseldorf, Universität Augsburg, Leibniz Universität Hannover, Universität Hamburg, IRPHE-Marseille, Universidade de São Paulo, University of Palermo, The Abdus Salam International Centre for Theoretical Physics, University of Calcutta.